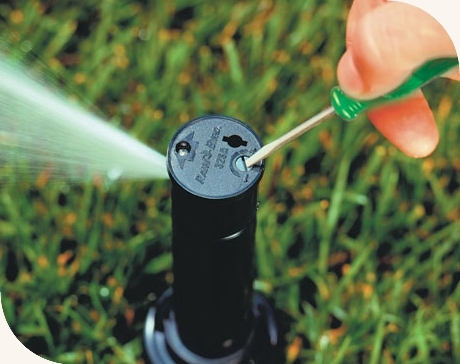 Sebastian and Vero Beach Sprinkler Repair | Irrigation System | Lawn Watering Specializing for 15 years in lawn irrigation and sprinkler system repair, installation and maintenance in Vero Beach Fl and Sebastian Fl. Sprinkler Repair in Vero Beach, FL - We Do it Right the First Time! gets a clear understanding of your needs, and does the job right. You'll save yourself a ton of headaches down the road if you let us handle the repairs for you. Once you have your sprinkler system repaired, or a new one installed by Advanced Sprinkler and Pump, you will have one of the best lawns in the neighborhood. Our more than 15 years of experience, thorough process, attention to detail, and desire to understand your goals for your lawn allow us to help you make yours the best it can be in Vero Beach, FL. By far, the most common types of repairs we perform are sprinkler head replacements, and leak repairs in various areas of your sprinkler system. We Use Only the Most Reliable and Efficient Brands in the Industry - Rainbird, Hunter, Toro, K-Rain, Sta-rite Pumps and Gould Pumps. Don't Focus Only on Price! When looking for sprinkler repair in Vero Beach, FL one of the biggest mistakes you can make is looking for the cheapest bidder. Yes, the cost of service is an important factor to consider. What good is saving $25 on a new repair or $400 on a new installation if you have to call the contractor multiple times to fix it in the next couple years? To get a reliable, water-efficient sprinkler system installed in Vero Beach, or to have a high-quality repair performed, call Advanced Sprinkler and Pump at 772.473.7222 or contact us online. Estimates for new installations and repairs are FREE. We are careful to explain to you every step of the process. If it's a sprinkler system repair you need, you'll understand what's not working, why, and the best approach to making the fix. If you're having a new sprinkler system installed, we also offer you a 100% coverage guarantee. Finally, when all is said and done, we'll charge you a competitive price for our service and we'll clean up the mess we make to perfection.